Our investment team, which includes 3 partners who have worked together for 10+ years, are supported by a team of back office staff based in London and Malta. Hanover Partners are significant investors in the Funds. Matthew Peacock founded Hanover Investors in 2002. In his early career he ran International M&A in London for Barclays BZW, following work in NY and London for CSFB. Over the 1990s he led a series of successful private transactions as a lead shareholder and CEO. Since then Matthew has led multiple PLC boards including 4imprint, Fairpoint, Elementis & Regenersis. Matthew has deep industry experience across the outsourced services, industrial and financial sectors. He holds an LLM in Law from Cambridge University and was one of the founding Trustees of Charity Technology Trust. Fred Lundqvist leads Deal Execution, including target assessment and financial analysis, as well as managing the legal processes involved with execution. 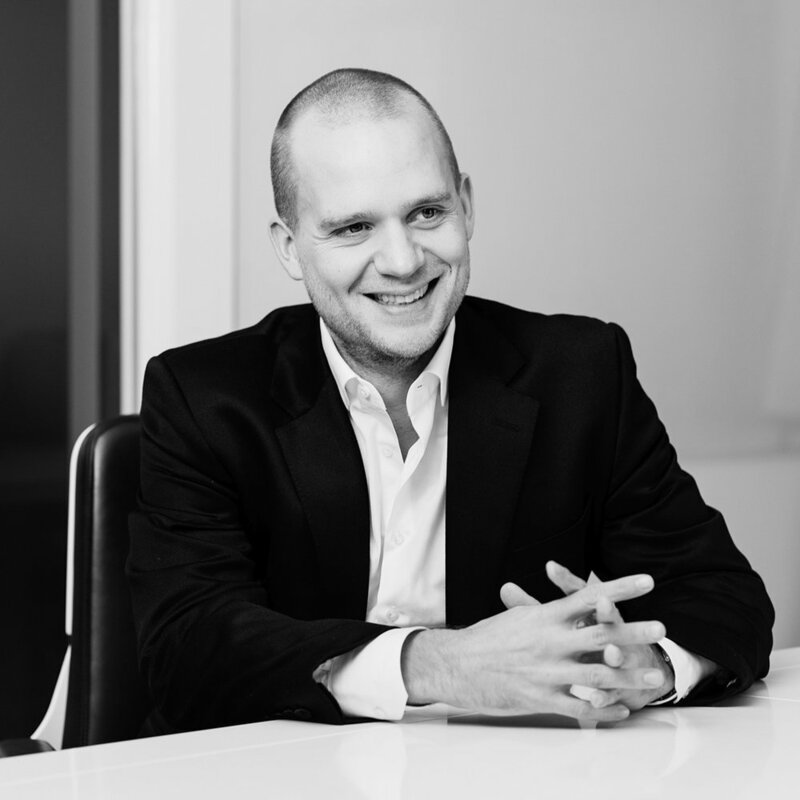 Fred joined Hanover in 2006 as an analyst and was made partner in 2011. In his early career as an analyst Fred worked on the identification and analysis of both public and private investment opportunities across a wide range of sectors including consumer finance, media, logistics and diversified industrials. Tom Russell leads Hanover Investor’s investment analysis and management activities and Target Selection process; he is Chair of the internal investment analysis and screening panel, the EIM, as well as leading the strategy agenda in Hanover’s investee companies. Tom’s early career was spent at Mercer Management Consulting (now part of Oliver Wyman consulting). Tom joined Mercer as an Analyst in 1998 and became a partner in the Communications, Information and Entertainment practice in 2006, where he led growth strategy projects for companies including AOL, Vodafone and Disney. Since joining Hanover Investors in 2007, Tom has held directorships at Chapelthorpe Plc, Fairpoint Plc, and Regenersis Plc, and executive management positions at Regenersis Plc including Strategy Director and Managing Director, Recommerce. Tom holds a MA (Hons) degree in English Literature from Corpus Christi College, Oxford University. Giles Smyth focuses on investment analysis and investee company strategy. Giles joined Hanover in September 2017, from McKinsey & Company where he was an Associate Partner in the Technology, Media & Telecom and Private Equity Practices. Giles started his career in the Strategy division of PriceWaterhouseCoopers. Giles holds a degree in Politics & Philosophy from Durham University. Ashkan Senobari focuses on target selection and investment analysis, with a view to replicate Hanover’s strategy and success in the Nordics. 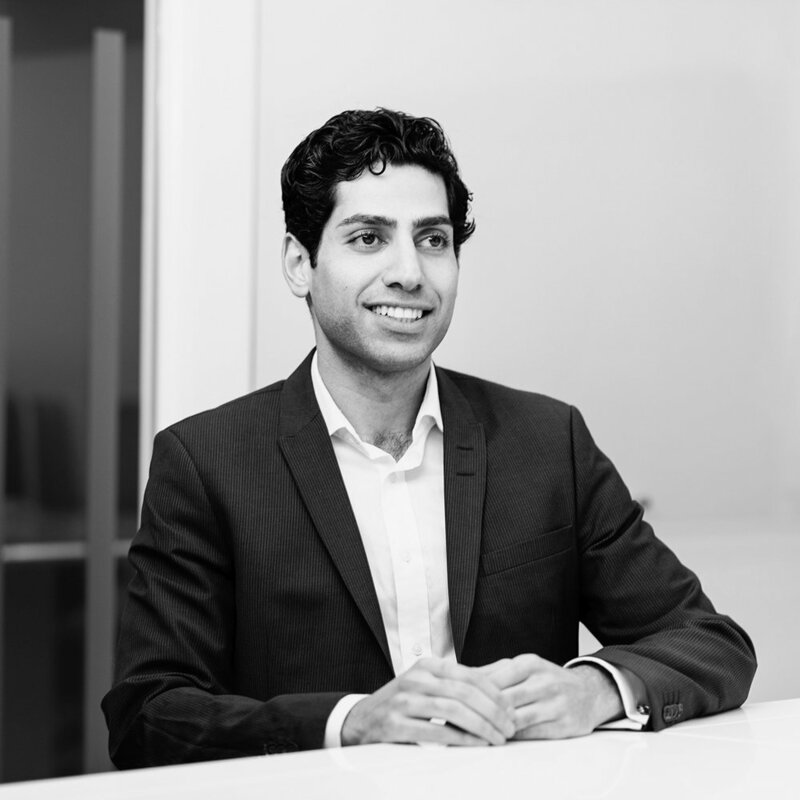 Ashkan joined Hanover in July 2018, from private equity fund EQT Partners in Stockholm where he was an Investment Associate. Ashkan started his career in the M&A division of J.P. Morgan in London. Ashkan holds a BSc in Business Administration, and a MSc in Finance, Hedge Funds & Private Equity from the International University of Monaco. Henry Linehan focuses on financial and strategic analysis across the target identification and investment processes. Henry joined the Hanover team in February 2017, after studying at Middlebury College. He holds an honours degree in Mathematics & Economics, with a focus on behavioural finance. Lucas Wessling focuses on financial and strategic analysis across the target identification and investment processes. Lucas joined Hanover in July 2018. Lucas started his career as an Investment Banking Analyst at J.P. Morgan. Lucas holds a BA in English from New College, Oxford University. Rebecca Boscott leads the finance and operations functions, having joined Hanover in 2013. Rebecca is a qualified Chartered Accountant with a specialism in financial services. Rebecca co-founded Oxford & Cambridge Investment Management in 2000 and was Finance Director and Chief Operating Officer until 2007 when the business was transferred to Bank Insinger de Beaufort. She remained with the Dutch bank for two years heading operations for the OCIM business unit. Rebecca is a member of the Institute of Directors, the ICAEW and the Chartered Institute for Securities & Investment. Emilia Lundqvist joined Hanover in November 2017 with a primary focus on overseeing projects relating to investor relations, marketing, and fundraising. Emilia has 15 years’ experience developing long-term buy-side relationships, most recently as Director of Client Solutions at ClearMacro and previously at BCA Research. Emilia holds a Bachelor of Commerce with German from the University of Birmingham. Alicia Barbara joined Hanover in September 2018 as Chief Financial Officer. Alicia previously worked at RSM Tenon in the United Kingdom and most recently as an Executive Director and Group Financial Controller at Liongate Capital Management Ltd, a Malta based Fund of Hedge Funds. Alicia leads the finance team and is responsible for all financial processes, controls and procedures. She is a qualified Chartered Accountant with a Diploma in Financial Services Operations and Compliance. Paul Keegan joined the Hanover team in January 2018 as Operations Manager. Paul overseas the client on-boarding and account maintenance. Paul has previously worked for Merrill Lynch and BlackRock within fixed income client services and most recently as operations manager at Finisterre Capital, a Malta based Emerging Market Hedge Fund. Paul holds a degree in Accounting and Finance and a Masters degree in Economics from Manchester University 1995-1999. Irina Camilleri joined the Hanover team in October 2017 as Fund Accountant. Prior to joining Hanover Irina was a Senior Administrator at fund administration firm Abacus Financial Services (Malta) Ltd and has worked at two major banks in her home country of Russia. 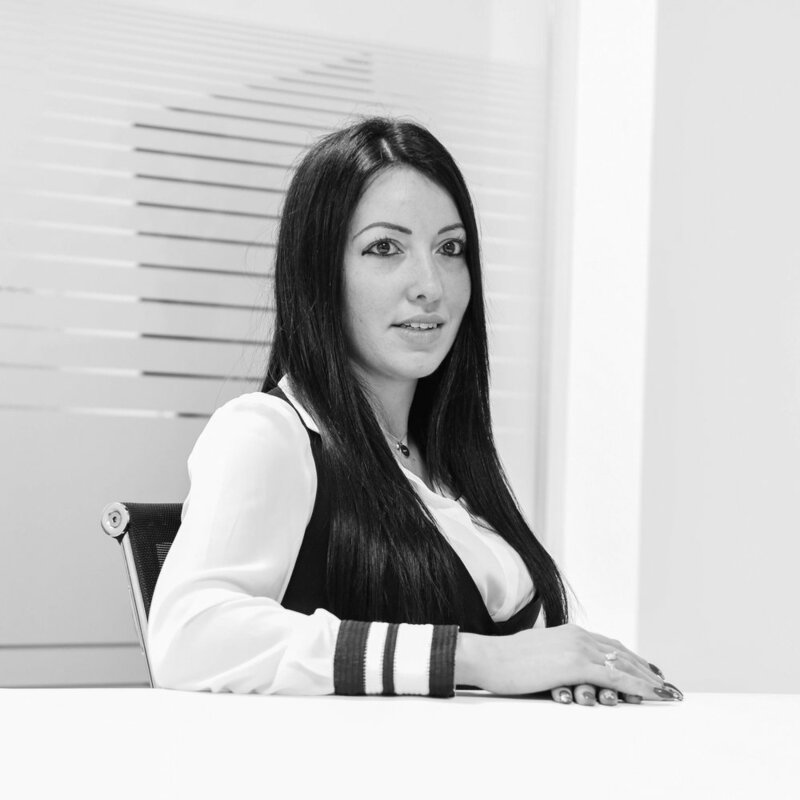 Irina holds a degree in Banking and Finance (Honours) from University of Malta and is working towards the ACCA qualification. She is also a member of the Association of Chartered Certified Accountants and the Malta Institute of Accountants. Diane Theuma joined the Hanover team in December 2017 as a financial controller, Diane is based in the Malta office. Diane prepares the accounting for Hanover Investors Management (Malta) Limited and is responsible for the preparation of the statutory financial statements, submission of returns to the relevant authorities. She is also responsible for liaising with auditors, tax authorities and Compliance Officers. Diane is ACCA qualified and is a fellow member of the Association of Chartered Certified Accountants (ACCA) and the Malta Institute of Accountants (MIA). Michael Britz joined the Hanover team in September 2018 as a financial controller, he is based in the Malta office. Michael prepares the accounting for Hanover Investors Management LLP and Hanover Operating Management Limited, he is responsible for the preparation of the statutory financial statements and submission of returns to the relevant authorities. He is also responsible for liaising with auditors, tax authorities and Compliance Officers. Michael has previously worked in similar finance roles at Honda, Calalent and Panasonic Europe. Michael is ACCA qualified and is a fellow member of the Association of Chartered Certified Accountants (ACCA). Emma Buckingham joined Hanover Investors in April 2018 as Company Secretary / HR Officer. Emma joined us from Blancco Technology Group (previously Regenersis plc) where she worked as Executive Assistant to the Board of Directors. Prior to joining Blancco, Emma worked for nearly 10 years in various legal firms including Farrer & Co and Withers LLP where she held PA/Paralegal roles within media, reputation management and contentious international trusts. Alex Raimes Joined the Hanover team in November 2015 as PA to the founder, Matthew Peacock. Prior to working at Hanover Alex was PA to the Managing Director at Festival Republic, one of the UK’s leading music promoters, and office Manager and PA at The Libra Group. Alex trained as a chef in France for two years and did 4 ski seasons. Julia Owen-Davies joined the Hanover team in November 2018 as Investor Relations Associate. Julia has spent the majority of her career in Sydney, Australia working in the private wealth divisions for UBS, Macquarie, Merrill Lynch and more recently at Bridge Street Capital Partners, a Sydney-based corporate advisory firm. Julia graduated from Exeter University with a BA in History and holds a Stockbroker Association (Australia) accreditation in Securities and Managed Investments. India Harkishin joined the Hanover team in September 2018 as Team Assistant. India previously worked at Office Concierge, based at Grosvenor's flagship site, for commercial offices as front of house / admin support. India studied at The University of Kent and received a BA Hons in Politics and Sociology. Mali Shor joined Hanover in December 2017 as PA and a team assistant based in Malta. Mali provides administrative support for 3 managers which includes coordinating calendars, arranging travels, creating reports etc as well as providing assistance to the Malta team with day to day activities. Mali has experience working for a variety of companies in Russia and Italy.